I always liked SuperCoolBeas and i think he might be one of the most talented players ever to come into the nba. Much like Lamar Odom and Derrick Coleman he's a bit of a head case and for that reason never reached his potential, but i hope he might be able to find a niche with this Lakers team. If you took Luke Walton's brain and put it in Lamar Odom's body, you'd have the perfect basketball player. I wanted LO to snap out of it so bad for so long but it never happened. It's rare that it does. What normally happens is a super-talented player finds a way to be productive next to an elite player. I can't think of a single instance where someone figures it out and gets anywhere close to their potential this late in their career. I hope Beasley becomes the first but I'm not holding my breath. Luke seems like the type of coach who can help him find his niche...that would be good for us. I think i know what you're saying...as in team needed vets to make it competitive. And i agree with that along with not sacrificing all the youth and trying to empty the cupboard right away. Whats yet to be seen is whether in crucial stretches of the season (and hopefully a bit of a playoff run) if it'll be kids getting minutes or mores guys like Rondo, Lance and Bease. If you've been keeping count, most of the players these same people fell in love with aren't even on the team any more. Trying to build our team like GSW is silly because there's been exactly 1 team to build their team into a Dynasty like that over the past 30 years...and the Lakers was not that team. We have a proven formula that we shouldn't have used this summer. Remains to be seen if we use it before February. Lots of Win Now signings this summer...might as well finish what we've started. 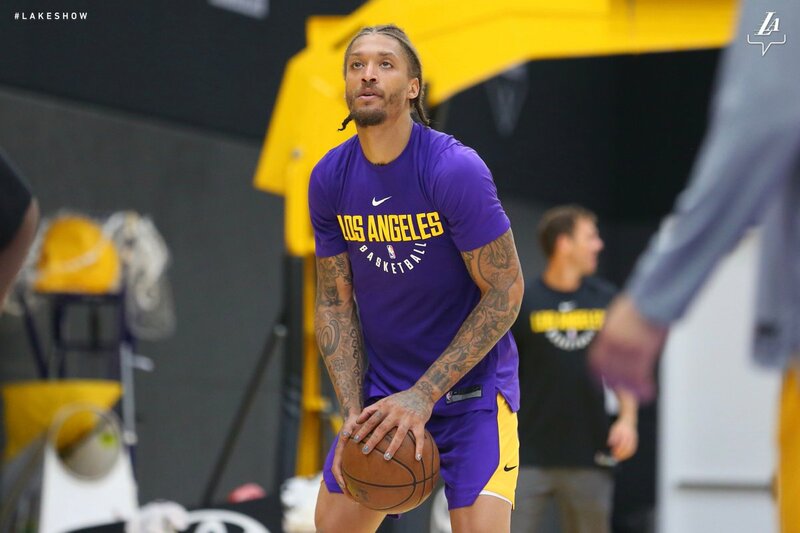 Beasley wont ever reach the potential he had when he was drafted, but i think the elements are there for him to do well - a superstar leader, a good vibe in the locker room and around the team, a team full of playmakers who can feed him the ball and a coach whose greatest strength is handling and managing personnel. By niche, I meant role. I don't think he's going to be a star but whatever he does well, Luke is the type of guy that can find a way to work it in to the offense. I think we added a lot of guys who can frustrate GSW defensively like the Rockets did in the Playoffs. I think LeBron, Rondo and Lonzo can set the tone on offense, pushing the ball as fast as possible and getting easy baskets as much as possible. Beasley could fit in either scheme if everything goes as planned. But i can see more than a few in season dust ups between Rondo and Beasely relating to professionalism i.e. laying off weed and bringing the team down. Just saying its out there and Rondo the one to call him on it. McGhee strikes me as a guy that enjoys his herb too. Both those guys seem to be important cogs next year and i hope everyone gels. With all teams there’s an adjustment period but that goes to professionalism of each individual With a good mix of vets it will be good overall, I have faith in Luke and staff to just keep order. I think we will be better than that. The players we signed are naturally gritty. All Luke has to do is emphasize DEFENSE and that tough guy mentality across the board and let LeBron/Rondo/Lonzo push the tempo to get easy buckets...at least that's what I hope. I'll go on record and say we will be 22-8 through our first 30. If Ingram or Ball are injured during that stretch, I agree 18-12 will be ok.
Really? Maybe we should have gotten LeBron more help if thats the best Ingram can contribute. LeBron by himself will get us to 15 and 15. I'm more inclined to agree w BBQ on this. But of either 22-8 or 14-16, probability of 14-16 seems more likely. Part of that may be me not wanting to be disappointed with high unreasonable expectations. Check our pace. We could score on and with anyone. We were missing a closer last year and I think we have the best in the NBA right now. Those were the records the Cavs posted the past 4 seasons through 30 games. We were either 2nd or 3rd last year in pace. With LeBron closing, if we keep up that pace, ZERO chance we start at or under .500. You're making a case for the Lakers needing to get LeBron real help right now. He overcame those odds last year. We shouldn't expect him to continue to be able to do so as he gets older. Edited by GCMD, July 31, 2018 - 06:56 PM. Michael Beasley was a sneaky good signing for LA. Edited by Massacre, September 08, 2018 - 07:23 PM.